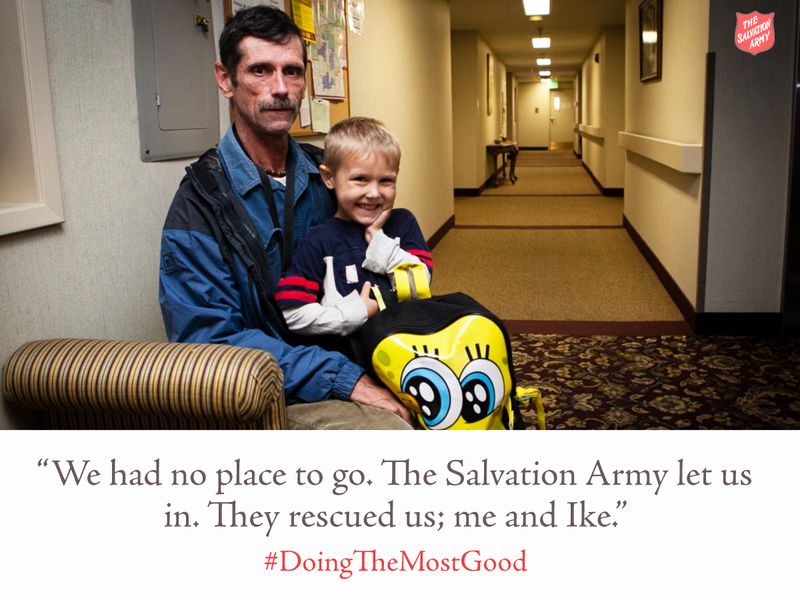 The Salvation Army's Emergency Family Shelter provides temporary living accommodations and programs that help enhance the quality of life of approximately 530 women, men and children. The facility is staffed 24 hours a day, seven days a week, with trained caseworkers who work diligently to meet the basic needs of the homeless population in Western New York. A unique aspect of our shelter is that it not only houses single women and single women with children, but also strives to keep the family intact by sheltering single men with children and married couples with children. Residents live in a structured setting, with daily scheduled activities, set times for wake- up, meals, laundry, supplies, curfews and bedtimes. Residents meet frequently with their assigned caseworker for case management and housing assistance. Our shelter is equipped with a Buffalo Bills sponsored area, called "The Goal Post," for our shelter youth population, that offers outlets for creativity, stimuli and positive interactions. Youth are able to participate in group games, read from an age-appropriate library, complete homework assignments and watch age-appropriate movies. "Bright Spaces," is a friendly and inviting play area for infants and toddlers to interact with other children in the presence of a trained childcare worker. "The Breakfast Café," affords residents the opportunity to enjoy a continental breakfast with their children in a more inviting and home-like atmosphere. During the day this area provides a common space for residents to search for apartments and place business calls. The shelter encourages residents to budget what income they have for moving expenses, furniture, security deposits, etc.